===>Click on ORDER NOW and fill in your assignment details. 1. Click on ORDER NOW and submit your order form. If you are ordering a paper with us for the first time, please fill in the sign-up form at the bottom of the order form. NOTE: when placing more orders, you need not signup afresh. Simply login first before placing the new order and you won’t be prompted to provide signup details. 2. At the bottom of the order form, click on “Proceed to Checkout” to go to the “Manage Orders” section. 3. 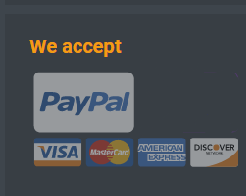 At the Manage Orders section, click on “Pay” or on the payment-methods image at the bottom to complete payment. 4. Upon completing payment, your order will move from “Pending” to “In Progress”, meaning that one of our writers has already started working on it and will deliver your product on time. 5. Please feel free to login to your personal account from time to time in order to check on the progress of the work, to send a message to the writer, to attach additional files and to see if the writer has requested for clarification on an issue. 6. Once the writer submits the paper to our in-house editors for the final review, it moves from “In Progress” to “Editing”. 7. Finally, the order moves to “Completed” immediately our editors finish performing the final quality checks to ensure that everything is fine with your paper. So, just login to your account and download it! 8. 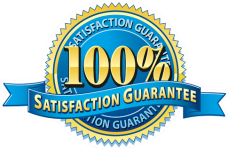 Once your order is available for download, it will be denoted as “Completed”. 9. If you like it, click on the “Approve This Order” button. If you want something changed, click on “Request Revision”, and provide the revision instructions by sending your writer a message. To send your writer a message, click on the “Message” button and then go to “Create Message”. 10. Whenever you want to check the status of your order or to place a new order, always go to www.mycourseworkhelp.com and login with the details you provided during the signup process. Then click on the ORDER NOW button and repeat the above process! Any Questions? Send us an email (support@termpaperchampions.com) or engage us on the Live Chat button at the bottom of the website.